5 Wood Ply + 2 Composite (Zephylium & X-Carbon). Different from typical Zylon, as Zylon is 3k in thickness while Zephylium is 1kDifferent from typical Carbon, as many uses 6k and 3k in thickness while X-Carbon is 1k. Xiom have used these compositions to lower the weight and also to increase the feeling of the blade. 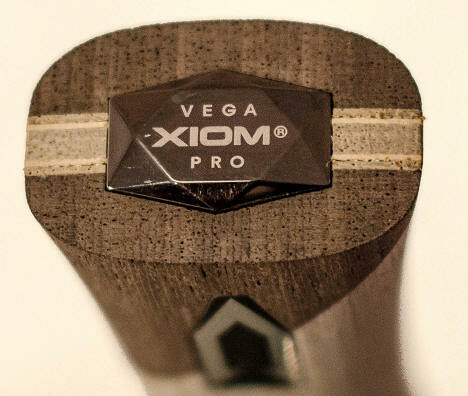 Xiom uses only jointless wood which increases the performance and stability of the blade. 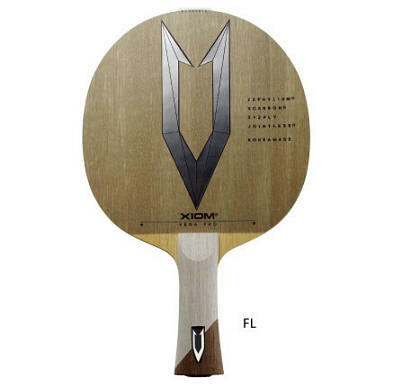 Natural Glue is used to make this blade in order to maximize control and catching of the ball while impact. The blade comes with the T-foil attached, in order to reuse them for maintenance of rubber and blade. THIL & Made in Korea. THIL is Xiom quality control. Wood is breathing thing that changes easily according to the surrounding environment. Therefore Temperature, Humidity, Insect, and Light are very important to the wood management. Xiom factory in Korea is THIL controlled factory to make sure that at point of production the wood is at their best shape. Headsize: 152x157mm Made in Korea.